When Barcelona and Real Madrid clash, there is a lot of excitement on offer and first place in Group E is up for grabs in this game. The two teams are already secured of a playoff spot and home-court advantage in the playoff series, but there will be a will to win on show in this game. If the away side wins, they’ll clinch top spot in the group but Barcelona haven’t lost in the Euroleague since they were trounced by Real Madrid earlier in the group. Both sides have an 18-4 record so far in Europe this season, even if they have managed it in a slightly different way. Barcelona held a 9-1 record in the regular season and currently hold a 9-3 record in the Top 16. Real Madrid achieved an 8-2 record in their regular season but currently hold a 10-2 record in the Top 16. This gives them a slight edge but of course, Barcelona holds a home advantage in this game so there is all to play for. Real Madrid have scored an average 87.2 points to the 83.5 points that Barcelona have averaged. When it comes to the key players of Barcelona, there is definitely a need for Ante Tomic to be at the front of the list. So far he has managed to offer up an average of 11.5 points per game this season while also offering up an average of 7.2 rebounds this campaign. This is a tremendous return for one player and the Catalan club have relied on him extensively this season. Another key player for Barcelona has been Marcelino Huertas, who has provided an average of 4.6 assists per game this season. For Real Madrid, Felipe Reyes has been a key player, offering up an average of 11.9 points per game this season while also offering an average of 6.2 rebounds per game. 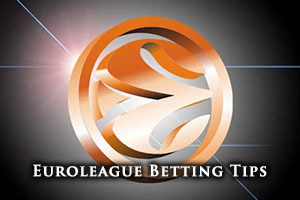 This has helped the Spanish side to remain on course to avenging last season’s defeat in the Euroleague Final. Another major player for Real has been Sergio Llull who has provided an average of 5.3 assists per game so far this campaign. In the Spanish league, Real Madrid have the upper hand on Barcelona, but it is not as though Real Madrid are where they want to be themselves at the moment. Real have a 21-5 record in the Spanish league, which sees them sitting in second place in the table, one place behind Unicaja who hold a 22-4 record at the top of the table. The Catalan club are currently sitting in 4th place with an 18-8 record. Both teams won their most recent game in the Spanish league. Barcelona were home winners over Sevilla by a score of 99-83. Real Madrid were more convincing in their 92-66 win over Estudiantes. The bookmakers make Barcelona slight favourites for this game and taking them with a -3.5 handicap, at odds of 1.90 is likely to be a decent bet for this mouth-watering clash between two of the most famous names in sport. Anyone that is looking to bet on the Over/Under market should find that going OVER 162.5, at odds of 1.90 is a good bet for this battle of the Spanish giants. 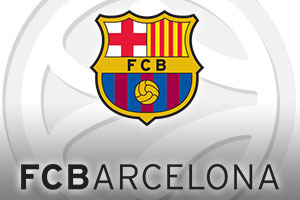 If you would like to watch FC Barcelona v Real Madrid on Thursday the 2nd of April live, we can help you out. Bet Now!